Night-sky enthusiasts have been stepping outside this week to witness the annual light show from the Perseid meteors. The 2016 shower was predicted to display as many as 200 meteors per hour at its peak on August 11-12. But whatever the shower’s intensity, you won’t see anything if the view is obscured by clouds. A clear view is one reason that some scientists are interested in looking down instead of up—from the vantage point of the International Space Station (ISS). 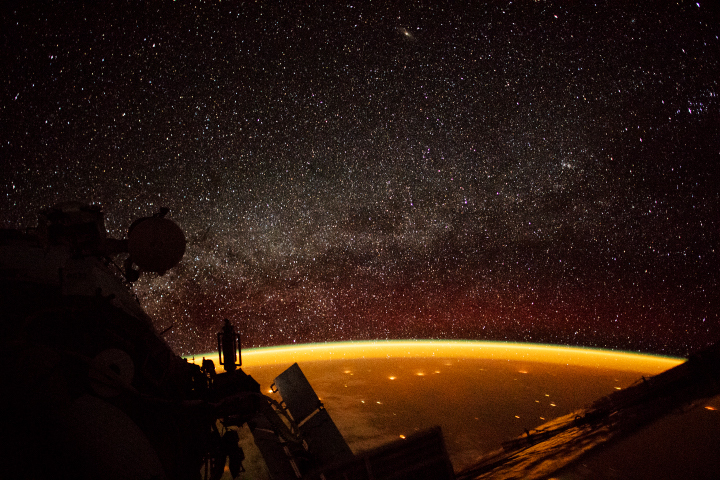 The Meteor Observation on ISS (Meteor) project, led by Michael Fortenberry of the Southwest Research Institute, is providing that downward-looking view. 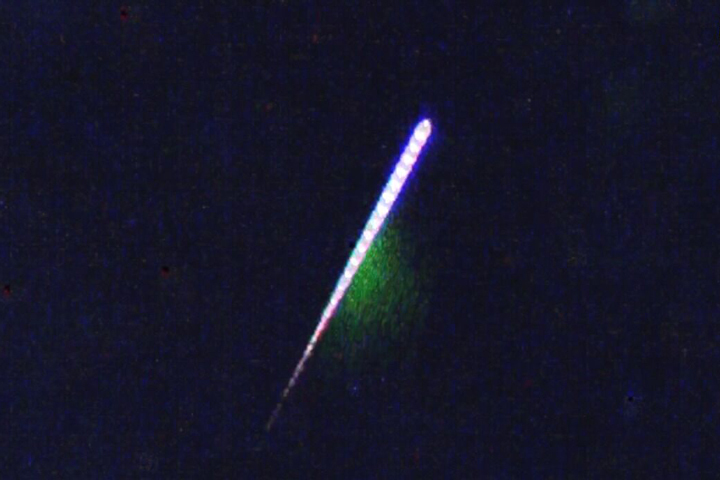 The image above is a composite of frames captured by Meteor’s high sensitivity, high-definition TV camera installed in the space station’s Window Observational Research Facility. The image was acquired on July 30, 2016, during the Delta Aquarids, a meteor shower that precedes the Perseids each summer. The Meteor project’s camera made its first observations on July 7, 2016. 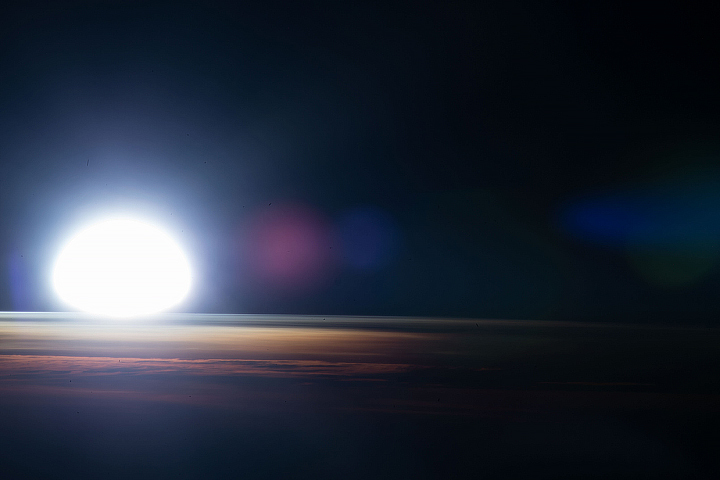 This scene shows a very bright meteor, or fireball, as it heats up and burns in Earth’s atmosphere. 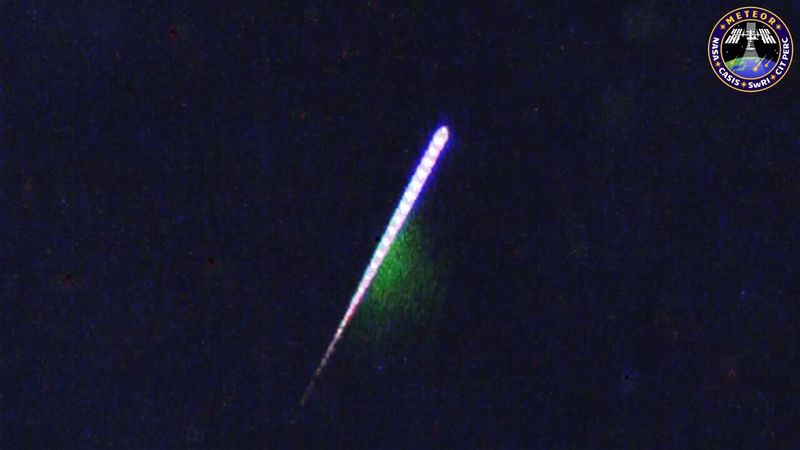 The green streak behind the meteor is a plasma trail. The meteor was spotted over the North Pacific Ocean (about 173.9E, 48.5N). 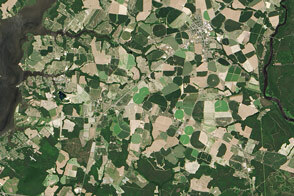 For a look at meteors over civilization, watch the video below. The clip was acquired on August 10, 2016, as the space station passed over Pakistan. The flash at the start of the video (right) is lightning. At six and 16 seconds in, bright meteors streak across the sky. Only one can be a Perseid, however, as meteors from a particular shower should all move in the same direction. These showers are just two of 12 major meteor showers that occur each year as Earth’s orbit takes it through bits of debris from comets or broken up asteroids. The Delta Aquarids are debris from Halley’s Comet, and the Perseids are associated with comet Swift-Tuttle. The Meteor instrument includes a device called a diffraction grating, which uses spectroscopy to collect information about the meteor’s composition. By collecting this information from above, there is less atmosphere to distort the view and better information about the elemental composition of individual meteors. The camera also can improve estimates of how much material is actually entering Earth’s atmosphere. The photo above shows a Perseid meteor streaking across the West Virginia sky on August 12, 2016. 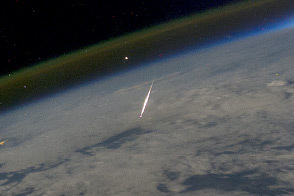 Some of the dust associated with these meteors is so tiny that it burns high in the atmosphere—where it is visible from the space station but not detectable from the ground. Moreover, the space camera has the opportunity to observe meteors during 560 minutes of darkness over 16 orbits of Earth per day, a view that is never obstructed by clouds. Top image and video provided by Meteor investigator Tomoko Arai/Japan’s Planetary Exploration Research Center, Chiba Institute of Technology. 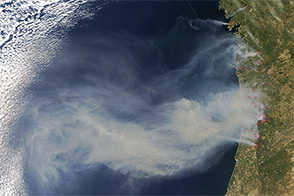 Photo by NASA/Bill Ingalls. Caption by Kathryn Hansen. Meteor investigation partners include the Center for the Advancement of Science in Space (CASIS), Southwest Research Institute (SwRI) in San Antonio, and Japan’s Planetary Exploration Research Center (PERC) at Chiba Institute of Technology (CIT). A camera onboard the International Space Station delivers the space-based view of meteors burning up in Earth’s atmosphere. NASA (2016, August 2) Look Up! 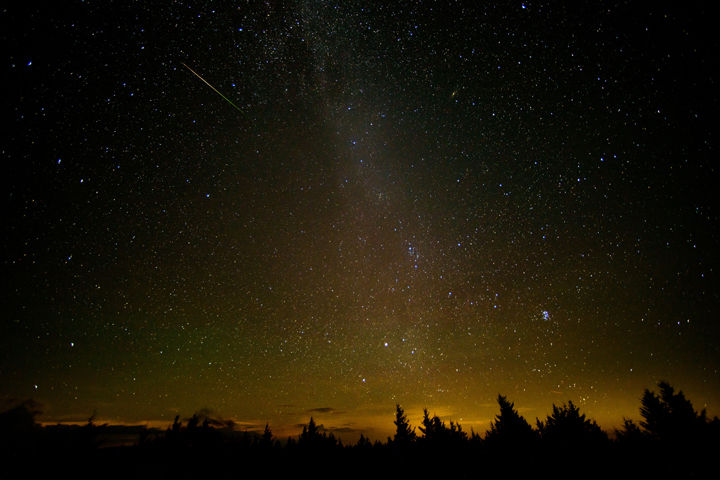 Perseid Meteor Shower Peaks Aug. 11-12. 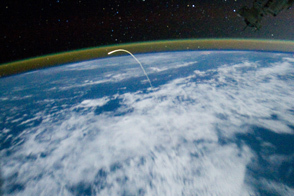 NASA (2014, August 13) Monitoring Meteor Showers From Space. NASA HQ PHOTO on flickr (2016, August 12) 20160812 Perseid Meteor Shower.